The Cornerstone team are constantly researching the best venues in the market to keep you up-to-date on what’s new, and on offer. It is essential for us to have first-hand experience before providing relevant and insightful advice to our clients. 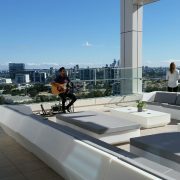 Last week the Cornerstone team explored the first Aloft in Australia, Aloft Perth. Modelled off the W Hotels, Aloft Perth was purpose built with the tech-savvy and “always on” generation in mind. 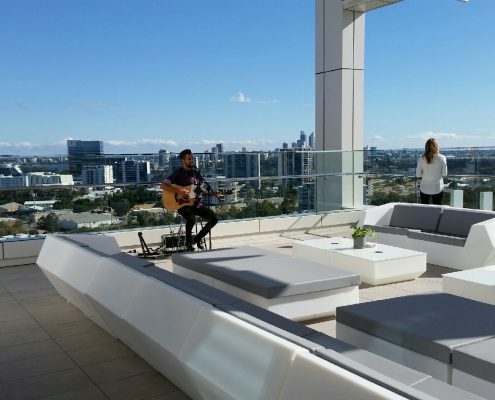 Offering free high-speed internet and buzzing social spaces Aloft Perth has been built to accommodate global travellers who value purposeful design, open spaces and connectivity. The hotel encourages its guests to stay healthy with a massive 24-hour gym, Re:Charge, packed with the latest equipment. Re:Charge also provides guests with lots of natural light with two large windows over-looking the hotels and the pool. Boasting 224 rooms of urban style loft accommodation Aloft Hotel oozes quirkiness and sophistication. They have designed the rooms with floor to ceiling windows, and have allowed a window panel in the bathrooms to flood the large 33m2 rooms with natural light. One of the things that really impressed us was the effort to provide fast and free internet throughout the hotel, allowing guests to be constantly connected for their stay. The flexible and dynamic meeting spaces on the Mezzanine Level provide removable walls into the foyer allowing an open, free-flowing area offering natural daylight from most of the rooms. The function spaces feature beautiful wood finishes and state-of-the-art lighting, audio-visual and business facilities. The Mezzanine Level is perfect for smaller more intimate meetings and breakout rooms for up to 120 people, with the option of using The Ballroom on the 19th floor at the plenary. 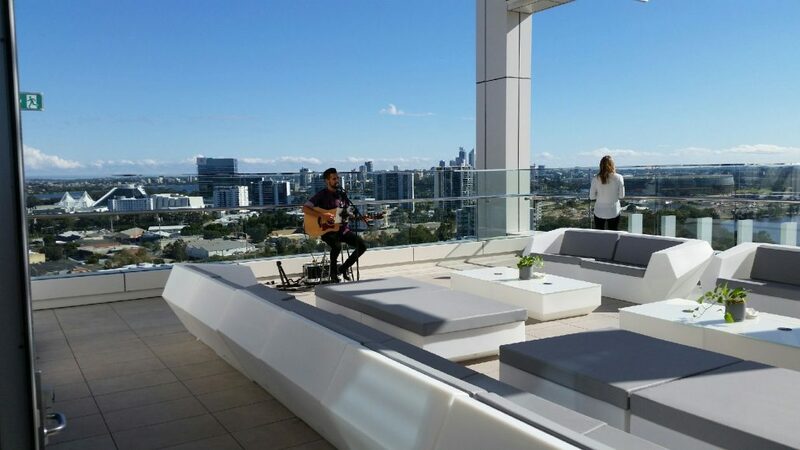 Aloft offers Perth’s highest function venue for 300 people with unique, never-seen-before views. The Ballroom features a large window which offers lots of natural daylight throughout the entire space. Adjacent to the Rooftop Terrace, The Ballroom opens onto it to reveal a large open area, which would be great for hosting Cocktail functions and stand up lunch functions. 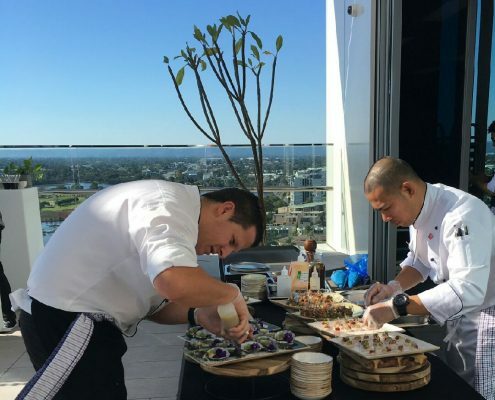 Aloft’s Rooftop Terrace features spectacular 270 degree views of the city and Swan River, and offers a great alternative function space. Designed with service in mind, The Terrace features built in bar and fully functioning service kitchen on the same level allowing for quick and attentive service. 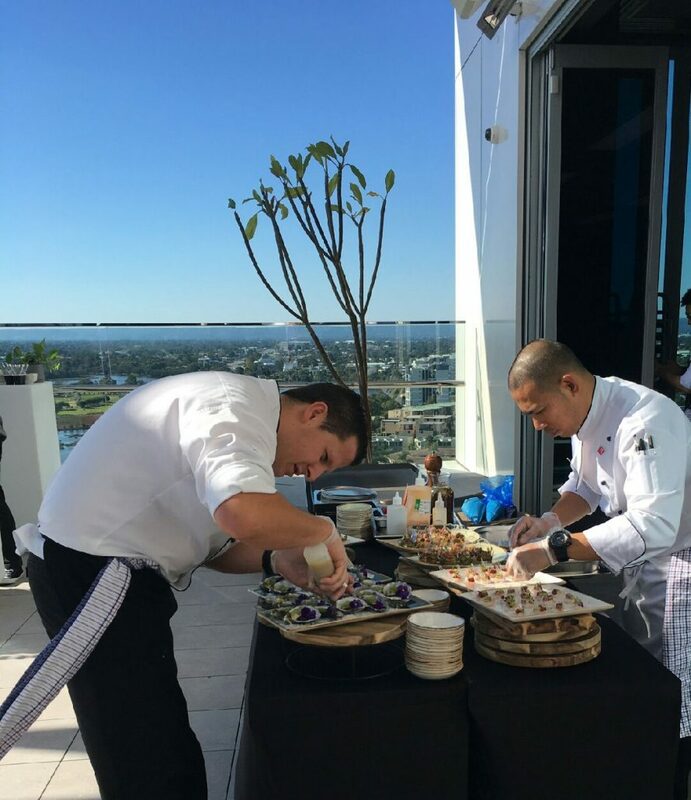 The Terrace also provides the option to have BBQ’s set up outside with interactive chefs which provides great option for a substantial canape lunch. 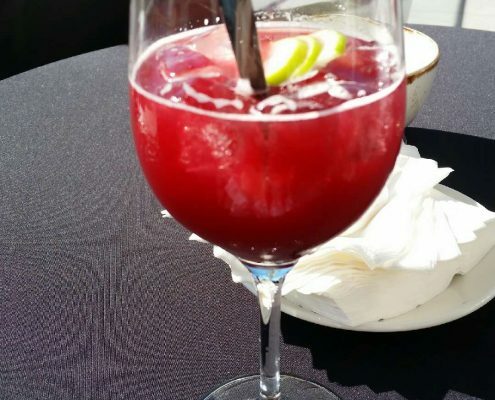 The special attention to service and presentation of food and detail was exceptional with a strong focus on using Western Australian produced food, and wines. Located in The Springs – Perth’s latest urban renewal project – Aloft Perth is within close proximity to the airport, making it easily accessible for interstate and international travellers. Thanks to Aloft Perth Hotel, and the Perth Convention Bureau for having Cornerstone last week. 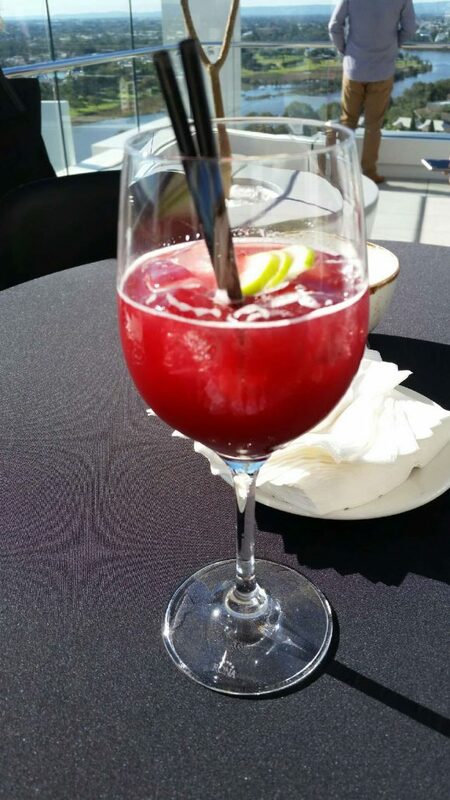 Contact Us today to dicuss how you can host your next event at Aloft Perth.